Everyone could stand to be in better shape. Our lives are busy, and this often leads to us making poor nutritional choices. After a long day at work, we sometimes stop to pick up fast food for dinner, because it’s easier and cheaper than preparing something wholesome from scratch. When we finally get a day off work, we’re tempted to spend our spare time watching Netflix and lazing around. If we have children, it can be hard to go for a jog and leave them behind. We can’t always go to the gym and supervise them as we work out. 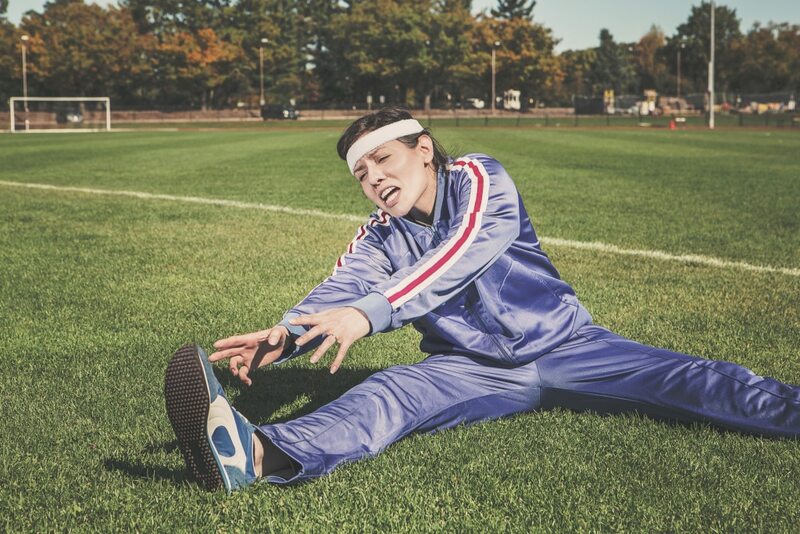 This leaves us with a real dilemma: what can we do to stay active and make healthier choices? Building a full home gym can be expensive, and it isn’t always necessary when we’re focused on getting a decent fat-burning cardio workout. One of the best investments we can make to improve the quality of our lives is a trampoline. 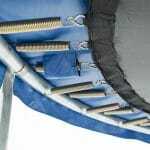 You don’t need a large trampoline just for exercise – a small trampoline that can be stored vertically in a closet or garage may be enough. 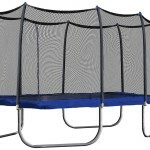 If you have the space and budget for a larger trampoline, that’s even better. 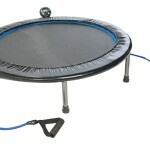 The larger the surface, the more possibilities will be open to you during your trampoline workout. 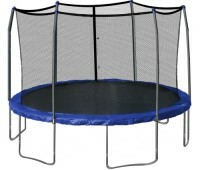 Trampolines are great for providing cardiovascular exercise, which promotes weight loss and heart health. Strengthening your cardiovascular system makes activities like running and swimming easier, building the stamina we need to stay active for prolonged periods of time. Jumping is higher intensity than powerwalking, and some may consider it an equivalent to jogging in terms of workout benefits. Some studies indicate that a bounce work out may even exceed the benefits of a jog, claiming that a ten minute bounce is equivalent to a half-hour jogging session. 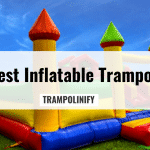 The use of a trampoline provides more than just cardiovascular exercise. Incorporating a trampoline into your workout can stimulate your metabolism, while promoting better balance and an increased lung capacity. Your blood and oxygen will circulate more, strengthening your tissues and allowing you to build lean, firm, toned muscle. Why Use a Trampoline for Workouts? 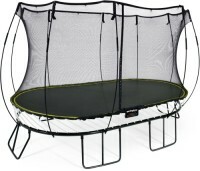 Using a trampoline is similar to using a treadmill, only the user is less locked into a specific activity. With a treadmill, for example, the only thing a user can do is run at varying intensities to keep up with the moving surface. 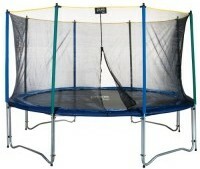 A trampoline allows the user a wider range of workout activities because the surface provides less resistance. 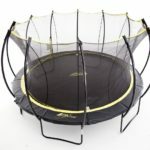 In addition to jumping, a trampoline user is able to expand upon the impact of traditional workouts by incorporating jumping intervals or using the trampoline as a mobile step. If someone were looking to maximize their workout by currently performing cardio exercise with strength training tasks, it’s as simple as bringing safe weights with you to your trampoline. 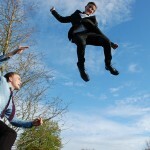 Some people use alternative workout gear, such as jump ropes, in an attempt to mimic the benefits of trampoline use. While jump ropes do provide a similar workout, they are neither as effective nor intense as a trampoline workout. When your hands are limited holding the ends of a jump rope, you’re missing the opportunity to incorporate your arms into your exercise routine. There are three tiers of intensity when it comes to trampoline workouts. 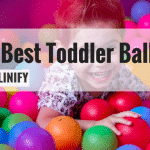 There’s the simple bounce, the more intense prance, and a high impact squat. The bounce, which is the simplest to execute, is a great starting point for anyone who’s interested in trampolining. For this exercise, the user would stand on the center of the trampoline’s surface, with their feet set approximately six inches apart. He or she would then bend their arms, allowing their elbows to rest at their sides. With a subtle bend in the knee, the user would bounce up and down about 30 times, creating an ideal set. Prances are a little harder to master, but once the user feels like basic bounces are getting easier, it may be time to up the game. In the same stance and the same position, the user should put their hands on their hips instead of to their sides. Using the balls of the feet to bounce, they would alternate between the left and the right leg a total of 60 times, with 30 lifts per side. Trampoline squats are difficult, and you likely won’t be able to accomplish them until you’re already in great physical condition. A user would stand on the trampoline with their feet shoulder-width apart, just as though they were executing squats on solid ground. Then, with a quick jump, they would extend their stance with their feet further than shoulder-width, and land into a squat with their knees bent and their thighs parallel to the surface of the trampoline. Keeping their arms straight out would help the user find their center of gravity. Once someone feels comfortable with their ability to bounce, prance, and squat on a trampoline, they may feel as though they aren’t benefitting from the workout as much anymore. When you’ve toned and built a better lung capacity, you can stand to boost the intensity of your workout a little more. This is where weights come in. Balanced weights and solid three pound dumbbells can be incorporated with bounces or prances safely. 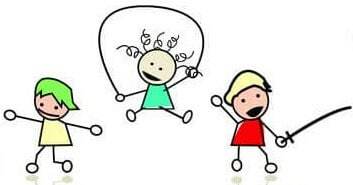 Weights larger than three pounds aren’t recommended to be used in conjunction with cardio exercise because of the burden they add, and they may not be safe on a bouncing surface such as a trampoline. 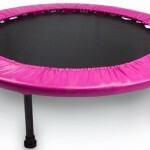 A trampoline may be the key to unlocking your fitness potential. 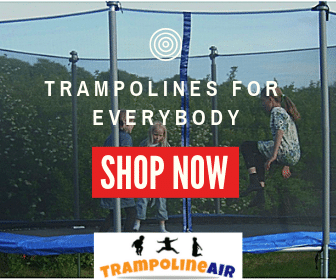 With a little practice, the workouts you can perform with the use of your trampoline will be better than anything you could do on unmoving ground. With a trampoline, the sky is the limit.